This question was migrated after having received an accepted answer (not by the asker). Neither the asker nor the poster of the accepted answer have an account on the target site at this point. The accepted answer is not sorted before all other answers, as when an answer is self-accepted — which is not the case. 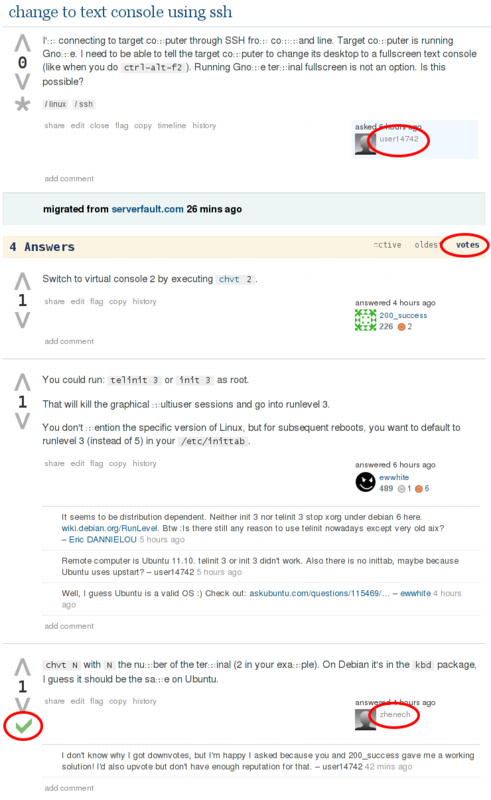 Browse other questions tagged bug migration accepted-answer . What to do about old imported posts that have poor answers? What close reason should be selected when migration site is not available?